The Enemy of the World originally aired in 1967-68. One chance, my friend. I said one chance. The Enemy of the World is an absolute joy from start to finish. Far too often, six-part Doctor Who serials tend to feel over-padded or over-stuffed, more a result of budget and production constraints than of any creative imperative to tell a story spread across six weeks. Instead, The Enemy of the World is a thoughtful, playful and fin six-part adventure that shows off Patrick Troughton at his best, with Dennis Whitaker’s script toying with various genre expectations and some interesting ideas about who the Doctor really is. When news came through that The Web of Fear and The Enemy of the World had been recovered in Nigeria, the immediate response seemed to focus on the return of The Web of Fear. There are lots of reasons why more attention was given to The Web of Fear – its iconic imagery, the introduction of the Brigadier, the use of a recurring monster, the fact that it is a touchstone for Mark Gatiss, who hosted the press conference announcing the recovery. There are lots of reasons that The Enemy of the World never seemed to garner too much attention before its recovery. The only episode that existed before this massive haul was the third part, which has a radically different tone from the rest of the serial – it’s very much a comedic interlude, featuring one of the strongest comedic supporting characters to appear on this show up to this point. If all anybody had seen of this serial had been that episode, they’d have been left with a very different impression of the story. 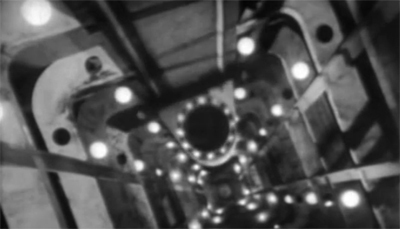 Even overlooking that episode, The Enemy of the World stands apart from the majority of the Troughton era. 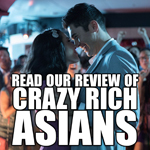 It isn’t part of the “base under siege” subgenre, instead serving as something of a James Bond pastiche. 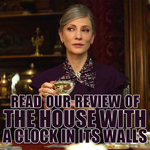 It is the only episode in its season that doesn’t really conform to that type of story. I suspect that this is part of the reason that fans weren’t clamouring for its return. Doctor Who fandom has a tendency to be strangely conservative for people who like a show about a time-travelling anarchist who tears down societies on a fairly frequent basis. Experimental or unconventional episodes – like The Web Planet or The Rescue – tend to slip between the cracks. The Enemy of the World is also part of a number of Doctor Who stories where the Doctor is able to serve as a stand-in for a character from another time. For example, in The Massacre of St. Bartholomew’s Eve, William Hartnell pulled double duty as both the Doctor and the Abbot of Amboise. There have been later stories where the lead actor has doubled up – David Tennant in Human Nature and The Family of Blood and Matt Smith in The Rebel Flesh, The Almost People and Nemesis in Silver, for example. 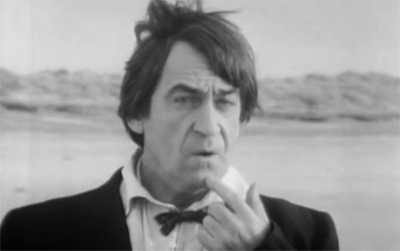 I suspect that at least some of tendency to write off The Enemy of the World is rooted in the sense among fandom that it’s really just about watching Patrick Troughton show off, which is somehow less intrinsically important or worthwhile than watching a yeti stumble through the London Underground or the first appearance of a chap who will play a bigger role in the years ahead. Which is, quite obviously, absolute nonsense. 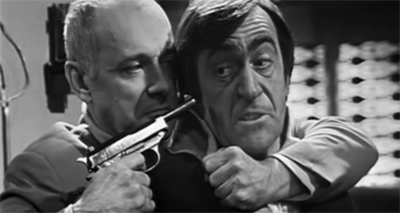 Part of the joy of The Enemy of the World, and why its recovery is so fantastic, is watching Troughton playing both the Doctor and the villainous Salamander. 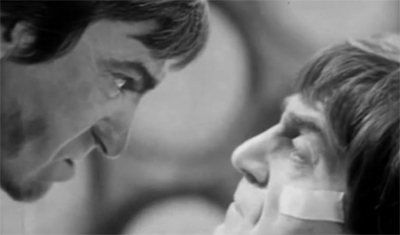 Troughton is one of the best actors ever to play the lead role, so watching him transform himself is amazing. Salamander has an impressively distinct physicality from the Doctor. 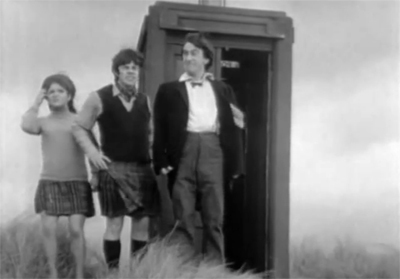 The way Troughton holds himself makes it clear than Salamander is a completely different animal from the Doctor. 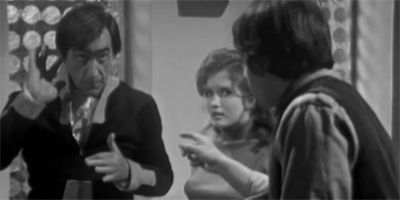 If Troughton’s Doctor is quirky uncle, his version of Salamander is stern father. Indeed, The Enemy of the World seems to recognise the skill of its leading man, and cleverly sets up the script so that Troughton doesn’t just play the Doctor and Salamander, he gets to play the Doctor-as-Salamander and Salamander-as-the-Doctor. Each performance is wonderfully nuanced. The Doctor’s impression of Salamander starts off weak, but improves with practice, over time. Salamander can’t quite conceal his arrogance when playing the role of the Doctor. It’s worth conceding that using Troughton as Salamander creates some interesting parallels and contrasts between the Doctor and the would-be dictator. 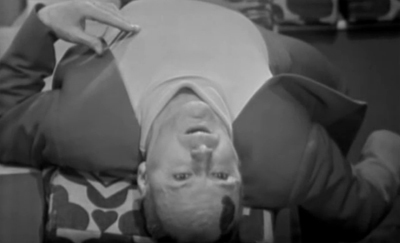 Given that The Enemy of the World was written by David Whitaker, one of the unsung heroes of early Doctor Who – and one who relished playing with self-awareness is scripts like The Rescue – it seems entirely intentional that the issue of who the Doctor is and what exactly he does should be at the core of an adventure where Patrick Troughton plays both hero and villain. The Enemy of the World is very clearly a loving pastiche of the James Bond films. It’s a story about a massively successful industrialist who is actually planning to take over the world using his secret connections. 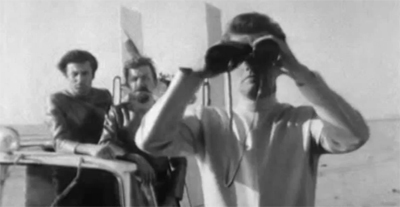 It opens with what would pass for a reasonably solid opening sequence, with the Doctor and his companions being chased by hovercraft, in a helicopter and then winding up cornered in a small cottage. That this works on a BBC budget is a testament to director Barry Letts, who provides a lot of the show’s energy and charm. 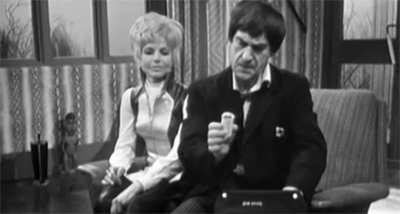 “Don’t argue,” the Doctor advises his companions early in the first episode. “C’mon, run!” Letts’ direction and Whitaker’s script never really slow down, which is part of the joy of The Enemy of the World. 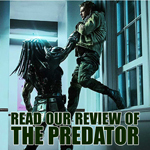 Despite its length, it introduces just enough twists and turns to keep the audience watching and engaged with action. Everything fits together quite nicely and – ironically enough – the closest the plot comes to spinning its wheels is during the third episode, the only episode which had been released before this recent find. Salamander checks all the boxes for a good Bond villain. He’s ambiguously foreign, which would provoke all manner of unfortunate racial subtext if Whitaker weren’t wryly critiquing Bond conventions as much as he enjoyed playing them out. Almost ahead of the curve, Whitaker allies Salamander with the green energy movement, his “sun catcher” – “a way of directing conserved energy to areas starved of sun” – fitting with the ecological agendas of later Bond villains like Scaramanga or Hugo Drax or Dominique Greene. Salamander has a secret underground base, stocked with scientists to help him in his plan to take over the world. Jamie gets to interview as a potential henchman to help infiltrate the organisation, demonstrating his loyalty in a grand display. Salamander even talks the talk, welcoming the traitor to his midst while speaking of supervillain “loyalty.” He boasts, “I prize loyalty very highly, my friend, and I repay it very generously like I do the girl Fariah, huh?” Naturally, his sinister plan even involves the use of volcanoes, which had been at the heart of You Only Live Twice, the Bond film released in 1967. However, while Salamander makes for a pretty great Bond villain, David Whitaker subverts expectations by refusing to cast the Doctor as a stand-in for James Bond. The formula of a James Bond movie has Bond being told who the bad guy is, only to find him and kill him – most often by infiltrating his organisation in one way or another. The Doctor spends most of The Enemy of the World quite sidelined, which is probably another reason that fans weren’t anticipating The Enemy of the World quite as much as they might have been. There’s obviously a very practical reason for this. Filming a weekly television show, the lead actor is only available for so much time. Having the same actor playing the hero and the villain can be quite demanding. However, Whitaker makes a point to justify the Doctor’s lack of involvement with the on-going plot. He isn’t being drafted in like James Bond to take down a threat to queen and country. 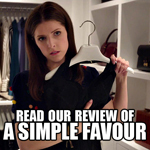 He’s an outsider who has been asked to intervene in an affair that is very much confined to Earth. The Doctor’s lack of dynamism is explained as a conscious decision on the part of the character. “What you really want me to do is to kill him, isn’t it?” the Doctor demands of Kent at one point. “What else do you do when someone is evil?” Kent asks, ignoring that the reasonable answer would seem to be “a lot of things.” The Doctor is having none of this. He’s not going to go jet-setting and involved in elaborate set-pieces while functioning as an assassin. “Private justice, eh?” he inquires. “Oh no, no. I’ll expose him, ruin him, have him arrested, but I won’t be his executioner. No one has that right.” Whitaker is playing with the Bond formula, arguing that the Doctor is much more of an independent operator than Bond. He’s not an instrument to be used to deal with a problem. Indeed, Whitaker seems to argue that the best thing the Doctor does is to convince people to solve their own problems. Talking with Bruce, Salamander’s right-hand man, the Doctor accepts that he hasn’t enough evidence to convict Salamander. “No, but there’s enough doubt in your mind to make you go on asking questions, isn’t there. 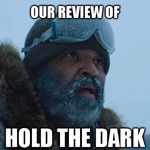 That’s why we came here.” To Whitaker, the Doctor isn’t a radical revolutionary force, or even a quick-problem solver. He’s a character who exists to get people to ask questions about the world they inhabit. In a way, this seems to foreshadow both Russell T. Davies and Steven Moffat’s approaches to the character. Indeed, the episode’s final act twist reveals that Kent – the man pushing the Doctor to depose Salamander – has his own covert agenda. “Any man who resorts to murder as eagerly and as rapidly as you must be suspect,” the Doctor explains at the reveal. “You didn’t just want to expose Salamander, you wanted to kill him and take his place.” In a way, Whitaker is framing a fairly direct criticism of James Bond. Bond isn’t really a selfless action hero, Whitaker seems to suspect. He might topple dictators, but he’s also an instrument that allows other interests to assert their own authority. Bond films aren’t about demolishing a particularly destructive world view, they are about the triumph of one world view over another. It’s wrong for Scaramanga to use his giant laser to hold the world to ransom, but does that mean it’s justified for British Intelligence to unilaterally assassinate the man? “One chance, my friend,” he advises a henchman at one point in the story. “I said one chance.” It’s hard to see Troughton’s delivery of that line without thinking of the Tenth Doctor’s “no second chances” remark. In fact, Whitaker’s evil counterpart to the Doctor seems quite close to Russell T. Davies’ vision of what the Doctor must never be. Salamander is a version of the Doctor who is not afraid to completely impose his will upon society from the top, rather than working to change it from the foundations. Salamander has many of the same objectives as the Doctor – he seeks to tear down a corrupt world order to build a better world in its stead. “I want you and the others to inherit the Earth,” he tells Swann, the leader of the great minds he has tucked away under the surface of the planet. “Make a new world.” In a way, that’s exactly what the Doctor wants people to do every time he helps them topple a corrupt institution, for them to rebuild. The difference is that the Doctor understands that the new world needs to be built by people, that they need to be free to make their own choices. He can free from tyranny – even self-imposed tyranny – but it’s up to them to put the pieces back together. The Tenth Doctor came off the rails when he assumed that he knew better than humanity, and Davies was sure to have fate come back and bite him whenever he tried to impose his own views on what humanity should be. Whitaker writes Salamander as quite cautious and conservative, in contrast to the Doctor’s libertarian values. 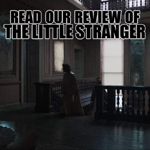 When Swann discovers that Salamander has been lying to him about life on the surface, Salamander very cunningly appeals to Swann’s fears and uncertainties about outsiders, his basic moral decency. “They’re deformed in mind and body,” Salamander tells Swann of the surface-dwellers. “They have a kind of society, but it’s evil, corrupt. You don’t think I could expose you to that sort of thing? 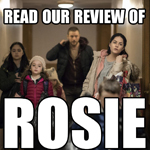 Think of Mary and the other women.” There’s something creepy in his willingness to appeal to Swann’s paternalism – won’t somebody think of the women and children? The Patrick Troughton era was dominated by “base under siege” tales. As rule – based on what little survives – it tends to do these rather well. The surviving “base under siege” stories from this season are all fairly top-notch. However, it was also capable of doing something completely unexpected and wonderful. The Enemy of the World is just that. It’s probably too early to describe it as the finest surviving Troughton story, but it’s still a massive surprise. They didn’t just recover a long-lost episode, they unearthed an honest-to-goodness classic.